This guy Vinny knows hockey and he clearly knows his team. 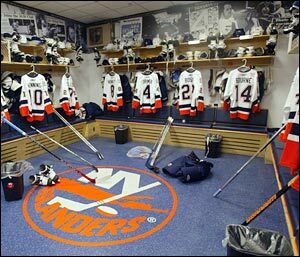 He kept a close eye on the Isles training camp and shares his analysis of the team as they begin their 2011-2012 campaign, which begins Saturday night when the Panthers visit the Coliseum. Vinny, otherwise known as the chirpy SOB @TheLastIslander on twitter, has more in store for us, including a take down piece that we’ll post soon on everyone’s favorite repeat offender and miscreant, Matt Cooke. Suffice it to say, he goes all Matt Cooke on Matt Cooke. [Our attorneys and censors are editing the piece now]. 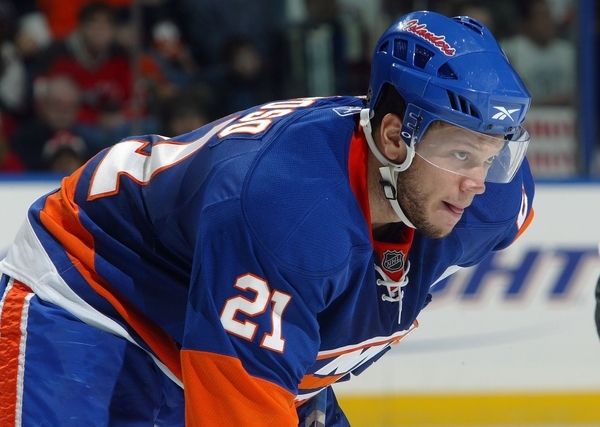 “Training Camp 2011 was interesting for your New York Islanders. Your key talent up front acquisition-wise is Brian Rolston and Marty Reasoner. These two veterans (both already missing camp time with tweaks and dings) will bolster the bottom six. Matt Martin and Micheal (yes, he spells it weird) Haley will compete for a similar fourth line energy role on nights the Stache Trevor Gillies is in the lineup. “What Reasoner can do that Konopka cannot is pot them, he will improve our production of our 4th line C by at least a dozen goals (Konopka had exactly 1 last year). I like Zenon. A lot. He’s fun. Met him. Dude GETS IT. He’s got Isles fans’ loyalty, but Reasoner is better at everything Z did except for pugilism. Hopefully he can bring the same contributions in the room Z did as well. That’s a big task. As for the 4th line, that’s enough on a unit that MAY crack 10 minutes a night. That said, best of luck to ZK in Ottawa. Sens fans, if they can put down their lattes and set aside their indifference to their team, will love him. The second line is set, and Okposo, Nielsen and Grabner for a tremendous two-way trio. Okposo is a bull in a China Shop, tenacious on the puck and he provides snarl on the forecheck and backcheck with a heavy shot. Frans Nielsen is the best damn defensive forward you’ve never heard of. He is also a maven on the PK, a nifty playmaker and an assassin on breakaways. The trio is rounded out with Mike Grabner, the NHL’s fastest man and a Calder finalist off an impressive 34 goal campaign. This unit should score 75 goals and be defensively responsible. No tinkering needed, having Okposo for the majority of the season is the only change that was needed (he only played in 38 last year). The actual telling addition will be last years number 5 overall pick, “The Swiss Can’t Miss”, Nino Niederreiter. Big power forward with gifted hands, a high running motor and consistent net drive. More on where he slots in shortly. The Top Line has it’s Batman and Robin. 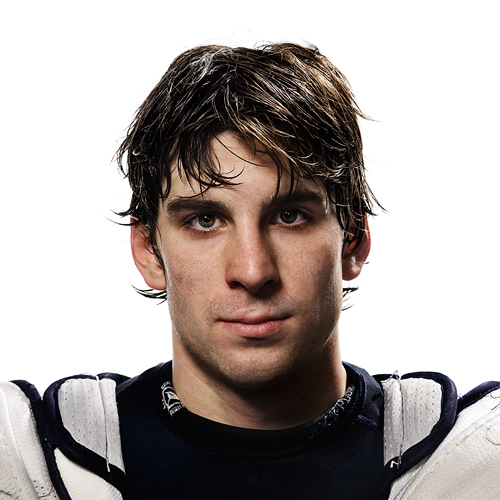 The Alpha Dog is John Tavares. He is on the cusp of being a point per gamer and one of the upper echelon players in this league. Matt Moulson is a dynamic sidekick who can cleanup the trash and pot 30 goals reliably. Their other wing was anchored by the well-traveled PA Parenteau who emerged from the AHL wasteland to pot 20 last year, but he faces a challenge from the aforementioned El Nino, which as you may know is Spanish for The Nino. PA keeps seeing ice time with the third unit in practice. Interesting. This battle may be decided. The third unit is where the dilemma lies. Blake Comeau will be there. Maybe. 24 goals is a respectable total for a third liner. His supporters swear he leads our team in GAR (Goals Against Rangers) every year, which is a plus. He’s unfortunately often lethargic in his own zone and is prone to apparent episodes of lack of focus. He will be centered by Josh Bailey who brings the same level of inconsistency and frustration… without any of the NHL accomplishments. Nino is SUPPOSED to slot in on this line. Supposed to. He’s giving PA a dogged fight for a spot on the top line though. Well, that’s a lot of forwards. Don’t be surprised if Comeau or Bailey is dealt, without an outside shot at PA being moved. If one had to bet, it’d be safe say Comeau. For what? In a minute. On the thin blue line, the only new name is Steve Staois. He will be everything Mike Mottau was supposed to be. Snarl, shotblocking, the occasional fight, hits, and veteran leadership. He will log bottom pair minutes. The signing of Staios was confirmed this weekend by TSN’s Darren Dreger. He will be paired with the new man of glass, Milan Jurcina, or occasionally Mottau. On the second pairing, two of the following three names will be there: Eaton, Hamonic and MacDonald. Mac n Hammer are two of the best young D in the game. They were the pair on Crosby all night when his 25 game point streak was snapped in front of HBO’s 24/7 cameras. Eaton is a veteran with a ring who on a good team is a number 5. Here he’s a 2 or 3, for now. 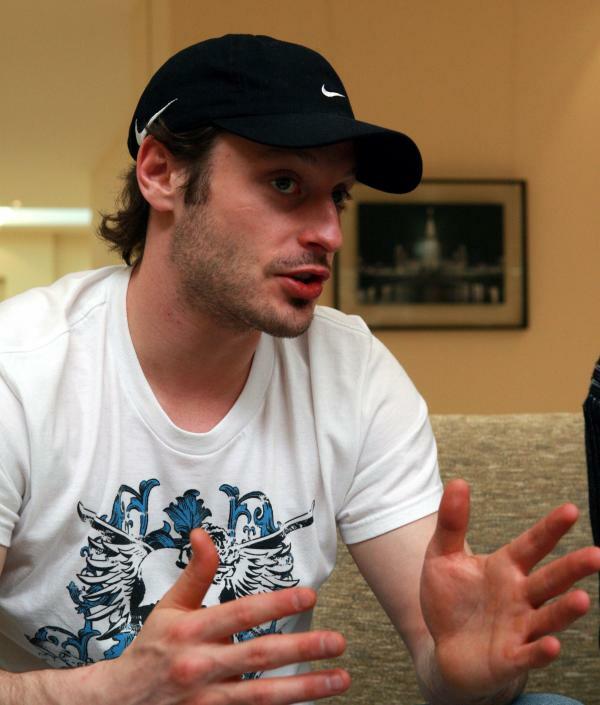 The clearcut number 1 is the Captain, Mark Streit, who returns after missing all of last season. He was sorely missed. The only foreseeable change is a trade of a forward to acquire a D. Watch for something like Comeau for Blum. Unlike forward, where only 1 name left, on D there was a depth exodus. Martinek will be missed. Geravis and Hillen, less so. For some hereto unknown reason, Dylan Reese will still surface as a call up. The preferable option to that of Mark Katic is already removed as he is lost for the season. DeHaan, Ness, and Donovan all stand ready at the Bridge to develop. Ty Wishart stands at the bridge to hopefully learn to be angry. The Bridgeport defense will be pretty damn good. As will their netminder. That’s called a transition, people. Then there is NABAKOV. Dude is here? Really? Looking in shape, in Isles gear no less. What a potentially huge development. If any of these three should falter, it’ll be Kevin Poulin time in a hurry, until then, he will man the Bridge, and undoubtedly play well. That’s where we are at. With the extensions of Moulson (3 yrs), Tavares (6 yrs +1 on current deal), Bailey (2 yrs), Okposo and Grabner (5 yrs each), locking up the core pieces up front is done, with the exception of Frans Nielsen, who WILL remain an Islander. Curiouser and curiouser that Comeau only got a one year deal, no? On the back line, Hamonic and MacDonald will get longterm deals soon. Garth has developed a core and nurtured it. Our farm system is strong. Our talent up front is top 10 in the NHL. We need blueline depth. Snow finds a way to get it and we are a playoff team. We shall see what happens. The final exhibition game just concluded, and as I never doubted Andrew MacDonald is back. He gives us 4 acceptable top 4 Dmen. If Jurcina’s groin is balky at the end of the week, expect that Mottau is in the lineup (UGH) opposite Staios or Eaton on the 3rd pair. Nino tweaked his groin, but Rolston’s is feeling better, so one can firmly expect Haley AND Martin to stick, which means bye-bye Jay Pandolfo. It’s been real, so long, farewell. In Net, Ricky is your starter, Montaya backing him up, Nabakov the awkward third man who just hasn’t outperformed anyone. That’s all folks, TaTa For Now.